The Cold Spring Harbor Monograph Archive is the complete collection of scholarly monographs published by Cold Spring Harbor Laboratory Press from 1970 to 2009. 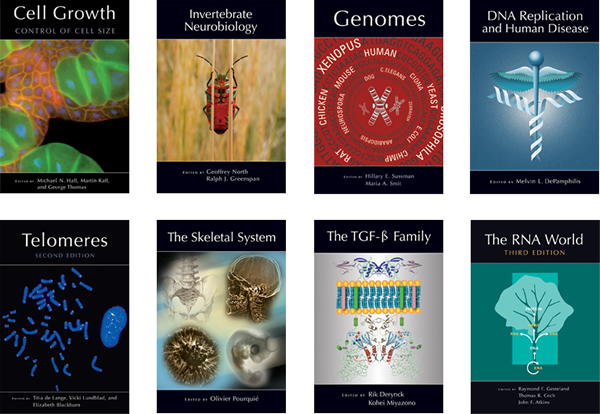 The archive's 59 full-text volumes provide the life science community with definitive reviews of progress in areas of molecular, cell, and developmental biology, genetics, evolutionary biology, neuroscience, cancer biology, and molecular pathology. Each text is written and commissioned by foremost researchers in their particular discipline. The archive is an unmatched resource for its breadth of coverage in key topics and provides an in-depth account of developments as they occurred in numerous fields. It is available online as a complete collection for one-time purchase (with perpetual access) or on a pay-per-view basis by book chapter. Browsing and searching of the collection and information about each book, including tables of contents and chapter excerpts, are freely available. For more information, please see the Archive's Frequently Asked Questions, which include reviews of many titles.